The East Coast Gem, Mineral & Fossil Show has just wrapped up this past weekend in Springfield, Massachusetts. Popularly known as the "Springfield Show," this show is the most significant mineral event in the Eastern United States. Marty Zinn, who ran this show for many years, has recently retired, and the show is now managed by LLD Productions under Laura and Bob Delano, with Marty remaining as a consultant. This show traditionally takes place on the second weekend of August, from Friday through Sunday. Many prominent dealers are present, and many good deals and new finds can be made. There is also a nice representation of East Coast collectors, with a large concentration of old and unusual material from the Northeastern United States. The show staff organize an exceptional display exhibit every year, featuring the collection of a prominent collector in public showcases near the entrance of the show. 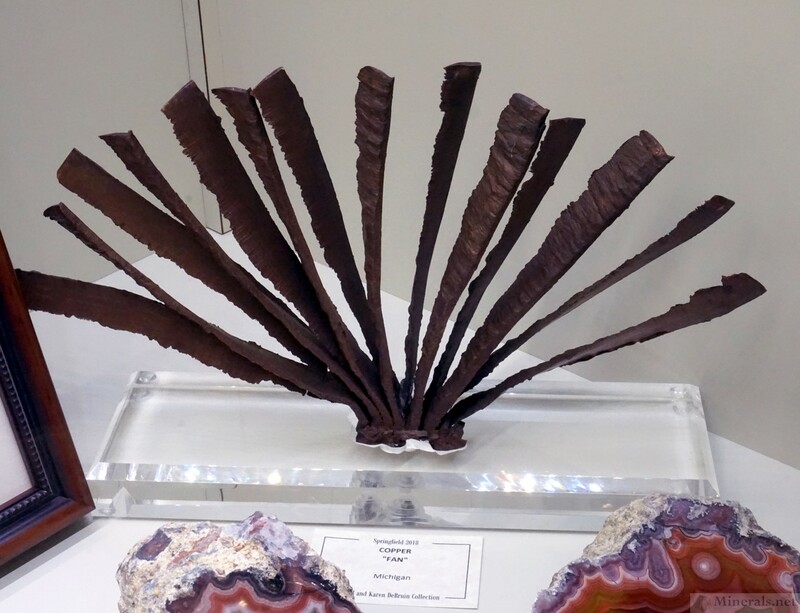 These exhibits are organized and displayed very well, with a nice set up and good lighting of over 50 display cases of outstanding minerals. 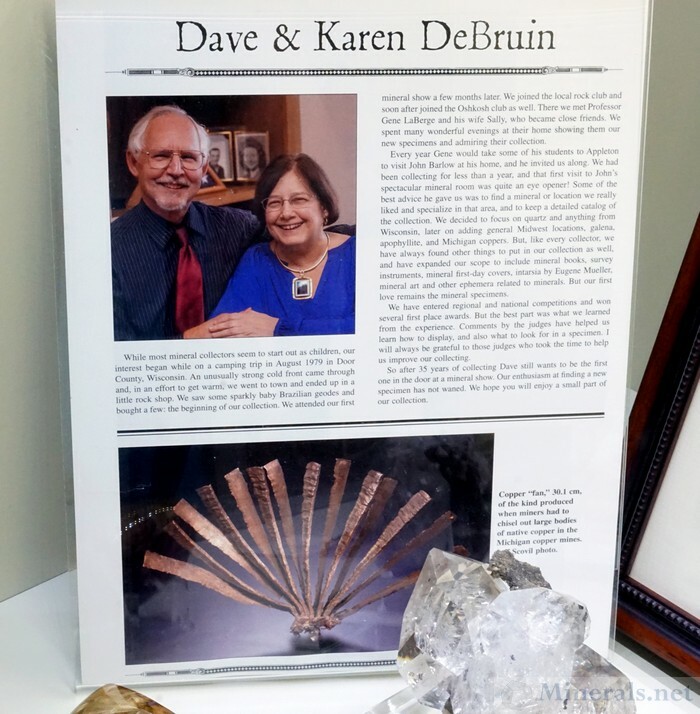 This year's show featured the collection of Dave and Karen DeBruin. Dave and Karen have been collecting for the past 35 years, and have amassed an outstanding collection of beautiful display minerals. 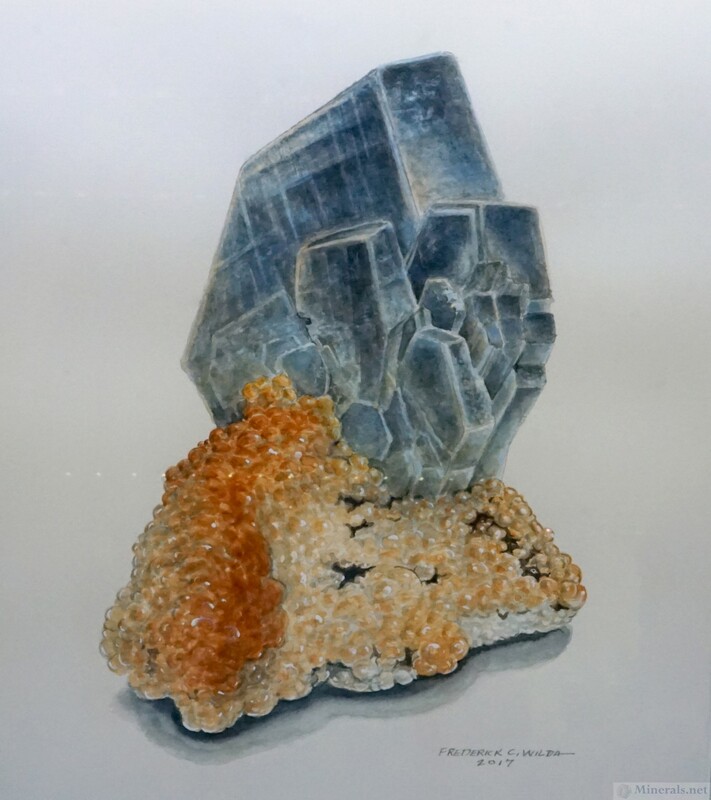 Their collection was featured this year at the show, highlighting their fine mineral pieces and showing their collecting preferences. Their favorite mineral is clearly Galena, and they had several cases devoted to this mineral, with a strong concentration from the Midwest as well as worldwide Galena in all sorts of forms and habits. Another favorite of theirs is Apophyllite, with many important specimens displayed, including some unusual pink ones. Calcite and Fluorite from the Midwest are also well-represented, with large and colorful specimens in many of the cases. 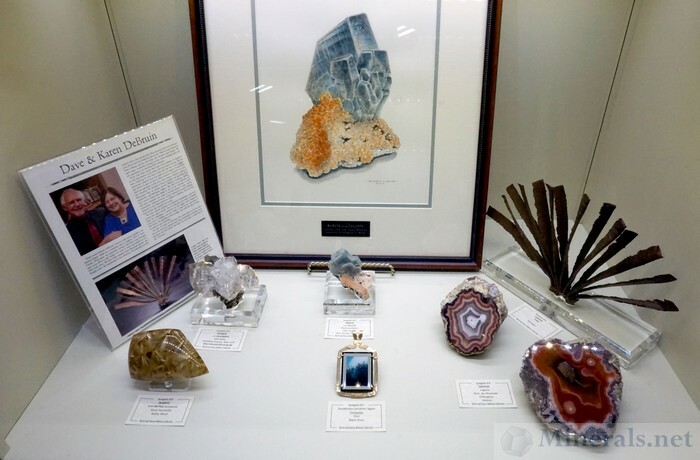 Additional highlights from their collection include Michigan Copper, minerals from the Montreal Iron Mine in Wisconsin, unusual Quartz crystals, Mexican Amethyst, Michigan Celestine, minerals from Honduras, Quartz Gwindels, Pyrite, and Sphalerite.